With more than 400,000 people officially living with multiple sclerosis in the United States, and many misdiagnosed, there’s no question of the need for awareness. As it stands, there is neither a cure nor a definitive test for MS, and the cause isn’t fully understood. 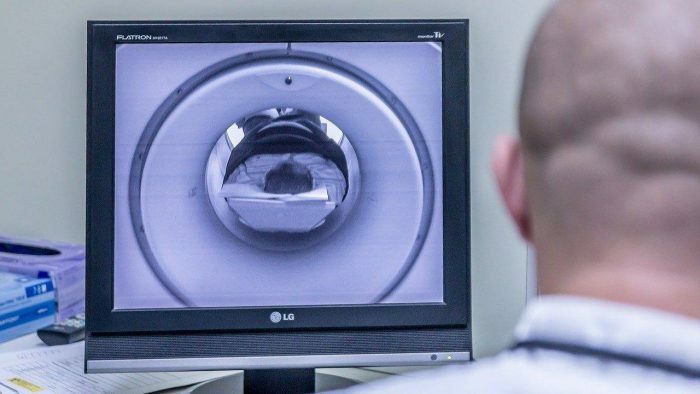 Because there are no definitive tests for MS, a variety of tools are used, including an MRI, cerebrospinal fluid analysis from a spinal tap, blood tests, visual evoked potentials and neurological exams. MS affects the central nervous system, which lead to symptoms MS sufferers experience. Relapse-remitting: Patients have periods of remission with few or no symptoms at all, punctuated by sudden exacerbations. Secondary-progressive: Begins as relapse-remitting, but transitions into being more progressive, with fewer relapses or exacerbations. Primary-progressive: Patients experience a gradual and steady increase in disability, without relapses or remissions. Clinically isolated syndrome: Patients have a single MS-like attack, with neurological symptoms, but may never have another type of attack. MS is most commonly diagnosed in people between the ages of 20 and 50 years old, but most people experience first symptoms between 30 and 35, and though it can affect men and women, it’s two to three times more common in women. On the same note, men with MS will often experience more aggressive forms of the disease. MS is described as an “invisible illness,” because although people with MS may appear fine, they often struggle with daily tasks and activities. In addition, studies show about half of those with MS deal with depression and anxiety. While there is no cure yet for MS, living with it well is a possibility, with the help of a larger health care team that can ensure all the patient’s needs are being met.